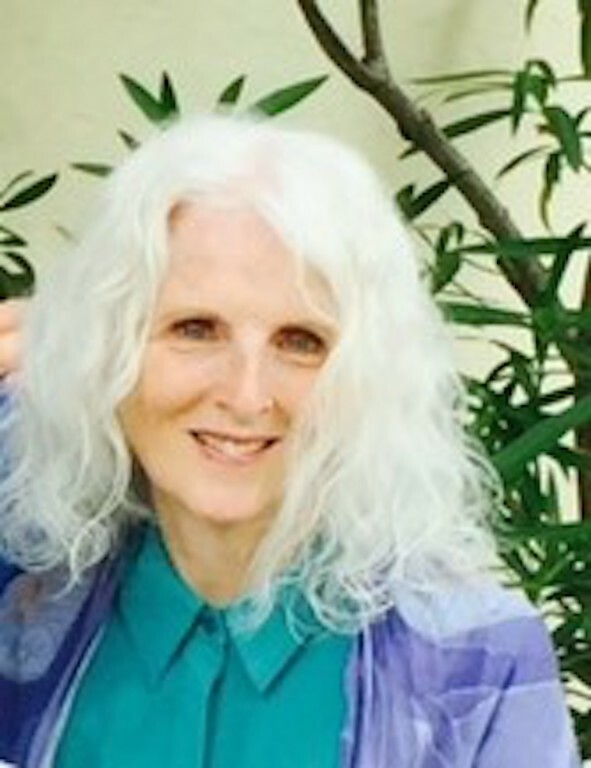 Evalyn Gaskell, M.Ed., is a retired Social Worker and Special Education teacher and is certified in Reiki and E.F.T. (Emotional Freedom Technique). She offers individual wellness, mindfulness and self-care sessions through her holistic private practice, Harmony LifeBalance, as well as community workshops and group guided meditation classes, in North Carolina. One of your favorite practices is “check up from the neck up.” How can this help stressed-out teachers and counselors? This practice helps us to become more aware of our own behavior, emotions, and thoughts. It can be utilized as a mini-relaxation, mini-break, stress reduction and centering tool. It requires us to become aware, paying attention to our “mind chatter” just for a few moments. This process helps us to become centered and present. Your work incorporates both guided imagery and mindfulness. Could you briefly explain the differences between these two types of meditation? The words “mindfulness” and “meditation” are often used interchangeably or in combination with one another (e.g. “mindful meditation”). Although these terms are related and generally refer to the same idea of calming the mind, there are some notable differences. Guided imagery has also been called “voice-guided meditation” and requires less discipline and practice than other types of meditation. One only needs to sit or lie down, close one's eyes and follow voice instructions, whether that be from a DVD, YouTube video, or a teacher who facilitates the guided meditation. The objective is to reach a relaxed state, and to guide those involved to focus or bring their attention into a meditation scene or a particular state like relaxing specified parts of the body. The meditation may include music and images. It's like a guided tour, a kind of imaginary story or narrative with a desired end-state, such as more confidence, less pain, less stress, more self-esteem, reduction of anxiety, and so on. Mindfulness, on the other hand, can either be a type of meditation or an informal practice and is about maintaining a moment-by-moment awareness of our thoughts, paying attention to feelings, bodily sensations and the surrounding environment, rather than dwelling on the past or the future happenings. Mindfulness is a state of heightened awareness. Anything we do in daily life with full awareness can be said to be a mindfulness practice. It also involves practicing being non-judgmental, meaning that we pay attention to our thoughts and feelings with the attitude of an impartial witness, without necessarily believing them or taking them personally. Mindfulness is a state you can be in and attain all day long, as you eat lunch, drive home from work, wait in line at the grocery store, take your dog for a walk, wait at a traffic light, cook, or do the dishes. Any routine activity can be made into a mindfulness practice when you bring your full attention to it. As part of your graduate work, you designed a Parenting from Prison program. What were some of the key issues that you covered? The key issues covered in the Parenting from Prison program included teaching the participants how to recognize behaviors and mindset that were keeping them “stuck in the muck”, so to speak. 1) Initially participants completed self-aware quizzes related to anger management, self-confidence, communication or self-esteem issues. The results of the self-awareness quizzes helped with understanding some of what was going on in the participants’ lives. ways to love and forgive themselves and others. 3) We also explored lifestyle habits and environmental conditioning, how history repeats itself from family to family, such as alcoholism, drug addiction, physical and emotional abuse. while discovering ways to heal from their own abuse or neglect. Through this program and other personal and professional experiences over the years, I have seen what can transpire through education, awareness, love, patience, and encouragement. Participants in my workshops learn to discover the root causes of their emotions and behaviors and are better prepared with doing practices like forgiving and loving themselves and others, using mindfulness to move forward with their own healing and personal transformation. In the midst of the increasing commercialization of mindfulness and wellness, you’ve chosen to keep your rates low. Do you have any advice for colleagues who might be struggling with issues of right livelihood and ethical business practices? This is an interesting question. It’s really a matter of circumstances and personal choice. What’s good for one may not be for another. Based on my situation of being retired, with a monthly pension, and a part-time conventional job, my choice is to keep my rates quite low and affordable so everyone who desires to experience the services I offer, may do so. Many of my clients are in situations where they have limited income and I will adjust my rates accordingly. For the monthly group guided meditations, I rent a room at a larger facility and only accept donations. Sometimes two people show up sometimes four to six. Sometimes it pays for the room, sometimes it doesn’t; nevertheless, I offer a once-a-month guided meditation just the same, because it’s what I believe in. At this time in my life, my focus is being of service to others. I created a situation that would allow me to charge rates that are affordable for anyone interested in experiencing the services I offer. I received a clear message in December, 2017 to open the business, provide service to others, and to have faith in the process, and that my needs would be met. Learning and practicing mindfulness can impact one’s life in so many positive ways. There is a wonderful saying “when the student is ready, the teacher appears.” I believe that we are each a teacher and a student, learning and growing from and with one another. 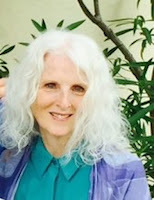 As an educator and a holistic practitioner, my passion is teaching mindfulness, connecting others to helpful resources, or various modalities, so they can be empowered to learn, grow and improve their lives. Based on my own direct experiences with mindfulness, I know firsthand how changing one’s thoughts, attitude, and lifestyle profoundly helps with improving one’s health and well-being. What do you do in your own mindfulness practice, and how does it help you with your work? Every day I have opportunities to practice mindfulness, to observe the self, to become present. “Check up from the neck up” really helps with that. I will do mini-meditations, or relaxation exercises during the day. Each evening before falling asleep I reflect on the blessings of the day, because when one really reflects on the blessings, there are always more blessings in a day than there were not. I send out blessings and love to all, because love from the heart is the most powerful vibration to give and receive. I’ve learned the answers are within, and one most benefits from doing what is referred to as the “inward journey”. Loving oneself completely, witnessing the self without judgement or criticism, accepting what is, and forgiveness, are a few key components of healing and transformation. There are a multitude of modalities to select from. It is not one size fits all. Each person is unique and what works for one does not necessarily mean it will work for another. I believe that mindfulness is the foundation from which to build upon and it has helped me in my work with helping others to help themselves.